You are new in bikepacking? Or you will prepare for a race? The NorthCape-Tarifa bicycle adventure, Transcontinental bikerace, Transam Bikerace, Transafrica Bikerace, Silkroad Mountain Race, Morocco Bike-Adventure…. some of the toughest challenges on bike. In the Transam Bikerace you cycle trough Colorado on an altitude of more then 2000m and over the Hoosier Pass with 3518m. In the NorthCape-Tarifa bike race the route brings you over some HC TdF passes with 2600m and on top of the highest road in Europe to 3398m. In the Silkroad Mountain Race you go even up to almost 4000m. You dream, to participate in one of these self supported races or another ultra distance race? A day etap race like Tour du Mont Blanc or multi stage race like the Haute Route race? In our training camps in the french Alps you can train on some of the most famous TdF cliembs. You stay at 1400 or 1800m altitude and the routes you cycle are between 500m and 2800m. There is no limit of the lenght and amount of climbing on a route. 280km and 6000m climbing in a day? Or more? Don’t worry, we also can offer you a 70km route. Transcontinental, Transam Bikerace, Transafrica Bikerace, TransAtlantic Way, Indian Pacific Wheel Race, NorthCape-Tarifa…. some of the toughest bike challenges on bike. You dream, to participate in one of these self supported races? Self supported means, no outside support, riding alone. Organizing food by yourself, make decissions, handling al sort of problems by your self. It’s more than a physical challenge. What bike to use, selecting the tires, how to pack your bike, using of electronic navigation or paper maps, what to eat, where to sleeps… There are many aspects to be care of. Self supported races like the Trascontinental bikerace demand of skills you get in bicycle touring, in road racing and even offroad racing. Self supported bike races is a bicycle disciplin like freeriding or touring in skiing and snowboarding. You have to adapt to the changes of the weather and so, same in skitouring, you have to adapt to the mountain. In our camps we tell you, how to successfully finish a such kind of race. We tell you from our expiriences. You get the basics to finish such a challenge. Riding on old history military gravel roads along the Italian-French boarder. Single trails, high mountain trails or the downhills at the famous Téléferique de La Grave from 3200, down to 1300m. The region of La Grave is famous for it’s extraordinary freeriding terrain, but do you know what the mountains in the French Alps offers to mountainbikers? You think about some days with different activities? Mountain biking, riding your roadbike on famous TdF mountain passes and an afternoon with river rafting? 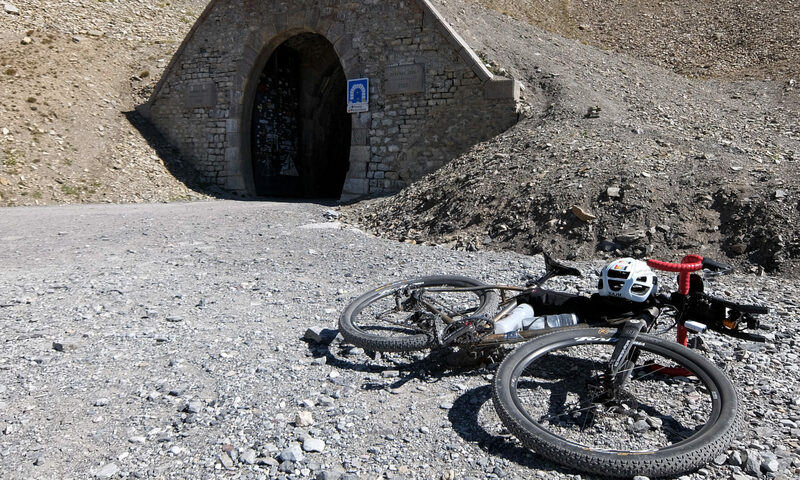 Or an organized bike journey over the Alps, in the Pyrenees, Greece… Tell us your idea and we make it working.